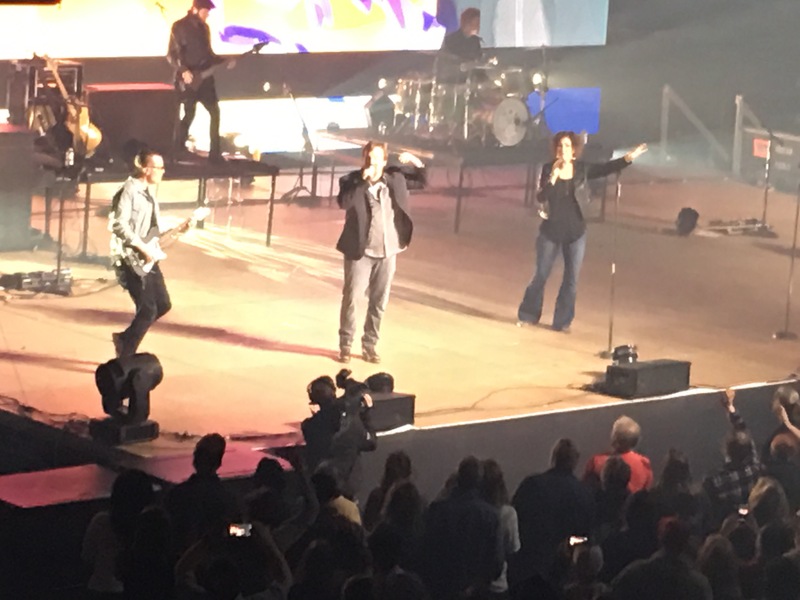 I went to a Casting Crowns concert two weeks ago, and although I can now cross that off the bucket list, I don’t want to. I would like to see them at least ten more times. New bucket list entry. After the concert I bought a t-shirt and wear it every time it comes out of the washing machine. I love these guys. You may remember back in December, my dog Bailey pulled my arm while I was walking him. I had an xray done and attended physical therapy for over a month, but my arm still hurt. Yesterday I went have an MRI performed. I made the appointment for morning, hoping I would still have the rest of the day to do something else, such as clean the house and write. I jumped into the car, popped my “Come to the Well” cd into my cd player and hit the road. Mr. Porter sent me a text that the Highway was backed up due to an accident, so I should take an alternate route. I plugged the address into my Waze app, not realizing that although the street address was correct, the wrong city was entered due to not having my glasses on. I drove about 80% of the way to the MRI center, when I realized Waze gave me an incorrect instruction and I was going the wrong way. I was now also late, due to taking the long way in the first place. Frustration, fear and anxiousness popped up to strangle me, but I sang louder and tried to ignore them. Thankfully, they slid me out quickly, unleashed me, and sat me up. I jumped to my feet, my hands shaking with dread. Tears filled my eyes. I gulped in large breaths. This is not happening. It was then that I was informed that I could go to another facility, across the parking lot, where they have OPEN MRI. Well, why didn’t you tell me this in the first place? I was escorted across the parking lot to another building, barely able to hear what the attendant was telling me about how to get back to my car. Minor details. Meanwhile, Mr. Porter was on his way to sit with me while I had the MRI done. With the open MRI, the side is open, and you can see your designated person in the room with you. Much nicer than a dark, lonely coffin. The tech put a contraption on my sore arm to keep it in place. He slid me into the MRI machine, which did not smush me (like the Star Wars scene where the garbage compactor walls close in), gave me headphones which played music, and in my non-sore hand, a calling button in case I needed assistance. Okay, I can do this. MRIs are never fun, and my neck was quite sore by the end because of staying at an awkward angle for 20 minutes, but there was no panic, dread or anxiety on my part. I went home and gave Bailey his walk, using only the “good” arm. I finished yesterday’s blog and cooked dinner. I should have known. God was Already There. Thanks Courtney. My husband says I should have that on file with the doctor: open MRI only. I had to exit an mri machine one time and could not do the open one either! I Love Casting Crowns and keep them on the bucket list! Sorry to hear you couldn’t do the Open MRI Terri. I can understand though, the top is only inches from your head! MRIs can be scary…. I only had my knees looked at, and I kept looking at the ceiling to try to fight off the claustrophobia..
I’m glad you were able to see the ceiling! That makes a huge difference.